Final Hurricane Harvey update: Sunday, 7 a.m.
Hurricane Harvey was downgraded to a tropical depression and had moved out of the Houston area as of the end of last week. Many of our streets have dried and become passable, and businesses are reopening. We, too, resumed operations across the Texas Children’s system at 7 a.m. today. We do understand that high water remains throughout some areas, and that there is still a lot of damage that resulted from the storm. We ask that you please continue to be careful as you drive throughout the city and travel to work this week. We know it will take time for some things to completely return to normal, so it’s important that we work together to start moving forward for our patients. By the same token, please make sure you’re talking with your leader if you have a situation that needs additional support, because your welfare is very important to us as well. As we resume our business operations, we want you to know how very thankful we are for all of you. This was an unprecedented storm that tested the efficiency of our planning and our facilities and the tenacity and dedication of our people. To say we passed the “test” is an understatement. Whether you helped prepare, rode the storm out at the hospital, relieved co-workers, prayed for our Texas Children’s family or encouraged someone here to push through, it all mattered. We bound together for each other and our patients, and we proved, again, that Texas Children’s isn’t just an amazing place for patients to receive care, this is an amazing organization where people become family. Below, we’re sharing a final video captured during ride-out, because it speaks to the incredible spirit here at Texas Children’s. Thank you for your dedication and for being one truly amazing team! Hurricane Harvey update no. 16: Thursday, 4:05 p.m.
We are so very fortunate to have started another dry, sunny day in the Houston area, and Texas Children’s was thankfully able to resume normal operations in limited locations today. As we continue bringing our workforce and services back online, we know many of you have questions, which we’ve answered in the FAQs below. Are we still in full activation of our emergency response? No, our emergency response was downgraded to partial activation at noon today. When should I return to work? If your location has not yet resumed normal operations, please speak with your leader about whether you are needed at your work location in order to perform the services we are able to provide at this time. Normal operations will resume across the system at 7 a.m. Sunday, September 3. Labor Day schedules will remain unchanged. Are there still sleeping accommodations available? We have closed the sleeping areas at Wallace Tower, West Campus and The Woodlands. Employees who are needed for our limited operations but are unable to return home from their shifts are allowed to continue sheltering at their Texas Children’s location through Saturday night. However, they only will be paid for the time they are working. If you need sleeping accommodations, please contact your leader. We also encourage employees needing long-term shelter to contact the Employee Assistance Program. What are the emergency pay practices at this point? All non-exempt employees will continue to receive emergency pay until 7 a.m. Sunday only if they are needed to conduct our limited operations during this time. All exempt AND non-exempt employees who are not needed for limited operations can use Harvey day(s), PTO or may take unpaid time off. Emergency pay does not apply to employees of Texas Children’s Health Plan, The Centers, Texas Children’s Pediatrics and Urgent Care. For more details about emergency pay practices, click here. Have shuttle services resumed? As of today, Fannin Direct, Feigin Center Direct and Circulator shuttles have resumed normal hours of operation. There will be no McGovern shuttle service until Friday, September 1. There may not be as many shuttles as usual in operation, so please be patient as our shuttle employees return to work. Are the Texas Children’s garages all accessible? The gates in TMC Garages 1, 2, 4, 6, 7, 10 and 15 (McGovern Commons) were raised during the storm for easier access. The garages have now resumed normal operations. All medical center employees need to return to their normal parking locations. If you are currently parked in one of these garages, please press the intercom at the exit for assistance from the TMC Call Center. Employees at the West Campus and The Woodlands have returned to normal designated parking areas as well. 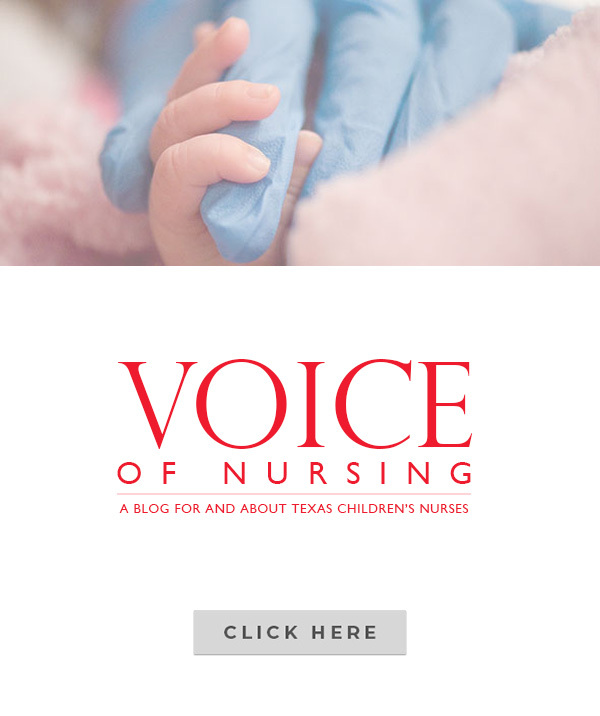 How can I help Texas Children’s employees who have been impacted by the storm and flooding? What if I need help? We now have a Hurricane Harvey Relief webpage for Texas Children’s employees. This website is for employees who need help and for those who want to provide help. There is also information on the site about our Employee Financial Assistance Fund for employees to donate or request financial assistance. Which of our outpatient facilities are open as of today? Six Texas Children’s Urgent Care locations are open today until 6 p.m.
More than half of Texas Children’s Pediatrics locations are now open. All location openings are being updated here on the Texas Children’s Pediatrics Facebook page. At this time, any established Texas Children’s Pediatrics patient can be seen at any open location. Texas Children’s Health Plan opened its Bellaire office today and is operating normally. The Tyler office is also operating normally. The Beaumont office remains closed. The Centers for Children & Women Greenspoint and Southwest are seeing pediatric and OB walk-in patients from 9 a.m. to 5 p.m. today through Sunday. The Center will be closed on Monday for the Labor Day holiday and will resume normal operations on Tuesday, September 5. Texas Children’s Health Centers, Texas Children’s OBGYN/Maternal-Fetal Medicine Clinics and Texas Children’s Autism Center and Meyer Center for Developmental Pediatrics on Stadium Drive will resume normal operations on Tuesday, September 5. Texas Children’s West Campus’ Cancer Center and Radiology have limited schedules today. West Campus’ Outpatient Clinics will resume normal operations on Tuesday, September 5. Texas Children’s Hospital The Woodlands opened limited outpatient clinics today for urgent needs and resumed surgical cases. Normal operations will resume on Tuesday, September 5. If you still have questions that have not been answered above, please reach out to your leader for additional clarification. Thank you for your continued commitment to our patients, families and to each other. The past fews days have been a reminder of just how strong we are as an organization. Hurricane Harvey update no. 15: Wednesday, 6:22 p.m. In our commitment to keep employees up to date with changes as they occur, we have the following new information related to our hospital locations since the global alert was sent out earlier today. Please note the information that applies specifically to your entities. Hospital transition from full activation to partial activation – As we continue to pull together for our employees’ well-being, we have established pay practices for partial activation of emergency management activities beginning 7 a.m. Thursday, Aug. 31 until 7 a.m. Sunday, Sept. 3. At 7 a.m. on Sunday, normal operations will resume for the entire system. We recognize the extent of this catastrophic event. For those of you who are unable to return home, we will continue to offer sleep accommodations for employees who are needed at work through Sunday night. Please speak with your leader about whether you are needed at your work location in order to perform the limited services we are able provide. Please also let your leader know if you need accommodations after Sunday night and/or help from the employee assistance program. We realize you might have questions about emergency pay, so some key points are outlined below. All non-exempt employees will continue to receive emergency pay if they are needed to conduct our limited operations during this time. Please speak with your leader about whether you are needed at your work location in order to perform the limited services we are able provide. Employees who are not needed for limited operations can use Harvey day(s), PTO or may take unpaid time off. Employees who are needed for our limited operations and who are unable to return home from their shifts are allowed to continue sheltering at their Texas Children’s location; however, they will be paid only for the time they are working. Normal operations will begin at 7 a.m. on Sunday, Sept. 3, and Labor Day schedules will remain unchanged. Please speak with your leader about whether you are needed at your work location in order to perform the limited services we are able provide. Employees who are not needed for limited operations can use Harvey day(s) or PTO. Employees who are needed for our limited operations and unable to return home from their shifts are allowed to continue sheltering at their Texas Children’s location. Employees should check with their leaders regarding their duties during the partial activation period. Please note that emergency pay does not apply to employees of Texas Children’s Health Plan, The Centers, Texas Children’s Pediatrics and Urgent Care. Thursday, Aug. 31, will be utilized to prepare the Wallace Tower for outpatient visits. Surgeries for current inpatients will begin Thursday as well. Surgery clinic operations will resume on Friday, Sept. 1. Normal surgery schedule for outpatient and inpatient will resume on Tuesday, Sept. 5. The Woodlands Campus: Surgery clinic appointments and outpatient surgeries will resume Thursday, Aug. 31. West Campus: Because of I-10 road closures still in place, medical and clinical leaders continue to evaluate the process for resuming services. Today, shuttle service to the Feigin Center will run until 9 p.m. Beginning tomorrow, Thursday, Aug. 31, the Fannin Direct, Feigin Center Direct and Circulator shuttles will have normal hours of operation. There will be no McGovern shuttle service until Friday, Sept. 1. There may not be as many shuttles as usual in operation. Please be patient as our shuttle employees return to work. The gates in TMC Garages 1, 2, 4, 6, 7, 10 and 15 (McGovern Commons) have been raised due to the weather event. TMC is resuming normal operations for their garages in the morning. All employees need to return to their normal parking locations by 8:30 a.m., Thursday, Aug. 31. For any assistance after the exit gates have been lowered, please press the intercom at the exit device for assistance from the TMC Call Center. On Thursday, Aug. 31, 27 TCP practices and six urgent care locations will be open. All six urgent care locations will have extended hours from 11 a.m. to 6 p.m. Click here to visit the TCP/UC website and https://www.facebook.com/texaschildrenspediatrics/ for more information about which locations will be open. Starting Thursday, August 31, TCHP will open its Bellaire office to employees as an option. Remember to plug in all electronic devices including printers and computers. We will maintain regular operations for the remainder of the week. The Beaumont office remains closed. The Tyler office is operating business as usual, and the office is open. The Center for Children & Women Greenspoint and Southwest will see pediatric and OB walk-in patients from 9 a.m. to 5 p.m. Thursday, August 31 through Sunday, September 3. Please stay in touch with your leader regarding your status so we can account for every employee. The Texas Children’s family has responded with extraordinary commitment and compassion during this challenging time. We are One Amazing Team. Please note there may be some details below that do not apply to staff and employees in some parts of our system (i.e., Texas Children’s Health Plan, Texas Children’s Pediatrics). Additional communications will be provided to these employees as needed. After several days of substantial rainfall in our area, the heaviest rain from Harvey has now pushed into Louisiana where the system made a secondary landfall just west of Cameron, Louisiana. The Greater Houston area can expect mostly sunshine today with minimal rain. We are preparing to open clinics at Main Campus, West Campus, The Woodlands on Tuesday, Sept. 5. We plan to use Friday, Sept. 1, as a preparation day to help transition hospitals. All Texas Children’s Health Centers are closed today and Thursday. The Community Maternal-Fetal Medicine and OB/GYN clinics at the Pavilion for Women and in Pearland are also closed until Tuesday, Sept. 5. Texas Children’s Pediatrics practices and Texas Children’s Urgent Care locations remain closed through Thursday, and leadership continues to assess all locations and develop plans for opening. The Centers for Children and Women are closed today but will be open for walk-in pediatric patients beginning Thursday, Aug. 30 through Sunday, Sept. 3 from 9 a.m. to 5 p.m. The Centers’ pharmacies will also be open during these times. Although there may be more impacts from this storm in the immediate days ahead, we know that with faith, strength and kindness, our city will get through this together. Click here to watch a new video that highlights the continued amazing work going on at the hospital and the impressive support from our community and partners. Texas Children’s leadership team is actively meeting several times a day and will continue to assess the situation and provide updates. “Harvey” My Days – As many of you know, Mark Wallace recently announced “Harvey” days – 24 hours for full-time employees and 12 hours for part-time employees – added to your time off bank under “My Days.” While you may not see the Harvey days immediately in your accruals, these extra days will appear sometime this pay period, and you may use them for any time beginning August 27. They will expire on December 31 and do not roll over. Your supervisor must approve the time off, and you may use Clarvia or Kronos to enter and track your days using special pay codes. If you are on or going to be on Leave of Absence or FMLA, the same allocation may be used. If you have any additional questions, please talk with your leader. Location damage assessments – For insurance purposes, all damage assessments and reports need to be coordinated through the Logistics team at the Medical Center. 832-824-0130. It is very important that we not begin any repairs until damages have been properly documented. Emotional support services – If you feel you need additional emotional support, please call the page operator at 4-2099, and they will page someone on the TANDEM team to assist. Click here for information from EAP on how we can best support each other during this time. We are all in this together, and we are here for you. Evacuation zones – Click here to review evacuation zones. The end of evacuation declarations will be on a jurisdiction by jurisdiction basis and quite variable over the next few days. Please click the links below for updates on your specific area of the system. Hurricane Harvey update no. 13: Tuesday, 3:22 p.m.
All hospital campuses remain operational and have done well throughout the hurricane and flooding. Texas Children’s Health Plan operations are up and running, and all Texas Children’s Pediatrics practices and Urgent Care locations are closed. Outpatient activities are being reassessed daily. We are assessing all of our community sites now and as soon as we can get staff safely to available locations, we will try to get some of these sites open. Because of advisories regarding impassable roadways, power outages and water releases, our staff is being asked to not report to work unless they have discussed with and had it approved by their supervisor. However, the worst of the storm seems to be behind us allowing more of our staff to come in and relieve their colleagues who have been working tirelessly throughout this weather event. We want to thank everyone for their continued dedication and support. In recognition of the length of the storm and the impact it has had on so many, we have done the following to help make things a little easier on our employees. Meals: In recognition of all of the hard work being done throughout our hospitals, we are providing a free dinner to all of our on-site employees tonight. For details, please visit your campus-specific page below. In addition, Texas Children’s is discounting all food and beverages at all three hospital cafeterias by 25 percent now until further notice. Discount is applied at the register. Badge Purchases: We have increased the monthly maximum purchase limits using your badge to $500 for full-time employees and $250 for part-time employees. If you have not signed up for badge purchases, you can do so through MOLI (instructions here).This benefit applies to all employees. Once employees sign up for this service, the change will occur overnight. Telemedicine visit available: Blue Cross Blue Shield’s telemedicine partner MDLIVE is offering free virtual visits from Aug. 24-Sept. 8 for individuals impacted by Hurricane Harvey. Individuals may call MDLIVE’s dedicated hotline at 888-959-9516 and provide the code “Harvey” to schedule up to one free virtual visit. All individuals (existing and non-existing members) in the coastal areas of Texas and Louisiana are eligible for this service. Please go to MDLIVE’s website at www.mdlive.com for more information. Federal aid/Insurance claims: If you’ve had damage to your home and need to apply for federal aid, please visit DisasterAssistance.gov or you may call 1-800-621-3362 seven days a week, 6 a.m. – 10 p.m., CST. As well, many of you have been asking about a deadline to file claims by this Thursday relating to a new law that is set to become effective, referred to as HB 1774. More information about this law, can be found here. We will continue to add any new updates, including off-shift staff activities, to the individual campus pages below. All locations are closed on Tuesday and Wednesday. We will continue to monitor closures and communicate any changes. For information on shelters, evacuation maps, etc. please refer to your local county websites. Hurricane Harvey update no. 12: Monday, 7:39 p.m. Tropical Storm Harvey has drifted back over the Gulf of Mexico and will work its way up the Texas coastline over the next few days, bringing more rainfall to our already flooded community. Because of advisories regarding impassable roadways, power outages and water releases, our staff is being asked to not report to work unless they have discussed with and had it approved by their supervisor. If you haven’t already, be sure to read Mark Wallace’s message below about all that is being done to care for our patients and families during this unprecedented weather event. We’re so proud of the way our employees have to joined together as One Amazing Team! All locations are closed on Monday and Tuesday. Hurricane Harvey update no. 11: Monday, 1:19 p.m. Although Harvey will move out into the Gulf of Mexico this afternoon, it is expected to make a second landfall as a Tropical Storm near Galveston Tuesday afternoon. Rain in Houston and beyond will continue for the next three to four days, enhancing existing flooding across the area. Based on today’s advisories regarding impassable roadways, our staff is being asked to not report to work unless they have been cleared to do so by a supervisor. If you are cleared to come in, please prepare to stay for a few days by bringing plenty of clothes, food and linens. All hospital campuses remain fully operational and have done well throughout the hurricane. Texas Children’s Health Plan operations are up and running at all locations, and all Texas Children’s Pediatrics practices and Urgent Care locations are closed. Outpatient activities are being reassessed daily. Be sure to read Mark Wallace’s message about all that is being done to care for our patients and families during this unprecedented weather event. We will continue to monitor closures and communicate any changes. 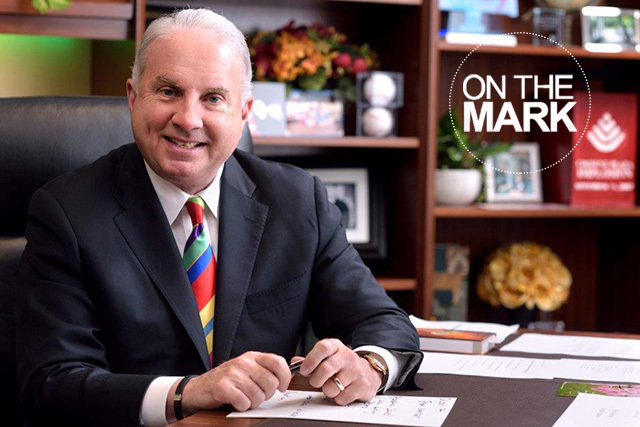 A Message from President and CEO Mark A. Wallace: Hurricane Harvey Update: Monday, 8:49 a.m. In the past 48 hours I have seen many heartbreaking images from around our city, but just as compelling have been the scenes of resilience and kindness in our community. There has been no greater demonstration of that spirit than what is occurring right now at Texas Children’s. Every single person – whether they are in patient care or in support functions – is pulling together and getting us through some incredible challenges right now. I know this is not easy. But you know what? We are at our best when things are not easy. We are strong, compassionate and resourceful, and I’ve never seen any situation that surpassed our determination and our unity. You are the very best that our city has to offer, and we are blessed that you are here, supporting each other, our patients and their families. By the same token, I know that many of you cannot be at work. And like me, you are eager to get back to Texas Children’s, our patients and colleagues. We know your hearts are here, but the best thing we can continue to do is to stay connected to our colleagues as much as possible, and to keep everyone in our prayers. I so appreciate everyone’s commitment and dedication, and I can think of no other organization in the world that could handle what we are facing with the leadership, tenacity and determination that you all are showing. One of our colleagues – Wally Crow in Marketing/PR – has been at the medical center campus since the storm began and has captured some of that Texas Children’s spirit. I want you to see it and celebrate it. I want you to see how amazing you really are. And I want our colleagues who are supporting our efforts from home or elsewhere to see how our amazing team is responding. Thank you Wally for this incredible video. This fills my heart with so much pride. This is the spirit of Texas Children’s. Hurricane Harvey update no. 10: Sunday, 7:53 p.m.
Hurricane Harvey continues to impact our local and surrounding communities and the forecast shows that it will do so for several more days. Based on tonight’s advisories regarding impassable roadways, our staff at our hospitals will stay in place. If you are at home, please do not try to come in. A decision about future operational activity will be made Monday morning. We understand that the situation is mentally and physically demanding, and we sincerely appreciate your dedication and all that you are doing to care for our patients, their families and each other. Remember, taking care of yourself is a priority, which includes taking any necessary medication, eating and getting as much rest as possible. We want to thank our many partners for being onsite with us and enabling us to continue to offer our staff, patients and families the support and care they need during this trying time. Some of these partners include, Cotton, Fisk Electric, Humphrey’s, Morrison Healthcare and W. S. Bellows Construction. With respect to Texas Children’s facilities, we have teams of individuals continually assessing each location to identify, prioritize and address all building issues. Please continue to contact our Logistics Team at ext. 4-5000 if you notice any facilities’ issues. Payroll has been automatically approved. Emergency pay and punch corrections will be added/corrected during the next pay period. We appreciate your patience. All locations are closed Saturday and Sunday. All locations are closed Saturday. Hurricane Harvey update no. 9: Sunday, 12:19 p.m.
Hurricane Harvey has had a significant impact on our local and broader community. Texas Children’s wants to thank you for all you are doing for our patients, families and colleagues. We also know how difficult it is to be away from your loved ones during this time and we encourage you to stay in contact with them for updates. If you feel you need additional emotional support, please call the page operator at ext. 4-2099 and they will page someone on the TANDEM team to assist. Click here for information from EAP on how we can best support each other during this time. We are all in this together and we are here for you. With respect to Texas Children’s facilities, we have teams of individuals continually assessing each location to identify, prioritize and address building issues such as water leaks, equipment outages, supply needs, etc. We recognize there are currently a number of different areas with water leaks throughout our campuses. Facilities is assessing and prioritizing their response based on issues that impact patient care or Information Services. If you see a leak or any other facility-related issue, please report it to ext. 4-5000. Please note, there have been numerous tornado warnings issued near West Campus, The Woodlands and in the Medical Center area. Only one was actually spotted. If you see a tornado, please call our command center at ext. 4-1179. To ensure timely payroll for the previous pay period in our current circumstances, payroll will automatically approve this week’s payroll and will put all emergency pay and punch corrections on future pay periods. We encourage you to remain conscious of what you are sharing on your social media accounts as there is heightened attention on the amazing work we do every day from the public and media. As a reminder, per the social media policy (4166), taking photos of patients and/or their families is prohibited. Feel free to follow Texas Children’s social media channels and share these updates. Hurricane Harvey update no. 8: Sunday, 7:17 a.m.
As we continue to closely monitor weather conditions, we want to be sure to keep you as updated as possible. Over the past 24 hours, rainfall totals throughout the Houston area have ranged from 10 to 22 inches resulting in widespread flooding. Today, an additional 10 to 15 inches of widespread rain is expected with further heavy rain chances over the next few days. The National Weather Service has issued additional flash flood warnings. METRO suspended service and the City of Houston has advised residents not to travel. Earlier this morning, the hospital deployed flood gates in West Tower, Wallace Tower and Feigin Tower to do everything we can to prevent flooding in our facilities. For your safety, our staff at our hospitals should remain. If you at home, please do not try to come in. A comprehensive update will be provided later this morning. Hurricane Harvey update no. 7: Saturday, 7:23 p.m.
Today, Hurricane Harvey produced 5-8 inches in the Houston area and projections for tonight are for strong storms. We will likely see times of clearing with heavy rain again Sunday and Monday mornings, and tornados remain possible. The storm is predicted to move back to the south before moving north again toward an area west of Houston Sunday through Wednesday. The payroll team is working closely with HR and wants to remind leaders to ensure timecards are accurate and approved by 10 a.m. Monday. For more information on emergency pay practices, click here. For Kronos clock-in information click here. Finally, please watch the news, and use your best judgment. We rely on you to stay informed and use good judgment in these situations to help keep yourself safe and to help us take the best possible care of our patients and their families. Thank you for your commitment! We will continue to communicate additional updates. A Message from President and CEO Mark A. Wallace: Hurricane Harvey: Saturday, 3:51 p.m. I know the past couple of days have been filled with uneasiness as Hurricane Harvey, a Category 4 storm, barreled down the coast, making its way to Houston. Because of the nature of the storm, the weather will continue to be unpredictable. More rain and the potential for widespread flooding is expected. We have not yet weathered this event. As is the case every day at Texas Children’s, I am grateful for the care you provide our patients, their families and each other, but especially during this time when it means many of you are away from your homes and loved ones. I truly appreciate the commitment as we continue to come together as a team to deliver the highest possible care to those who need us most. For those who helped prepare our organization for this storm, thank you. Your efforts have been invaluable to the team who arrived this morning. Our organization’s reach is bigger than ever, and will continue to grow, which means we are truly learning how to navigate these types of events together in ways we never have before. Leaders are meeting throughout the day and night to continue to assess the situation across the organization. Please stay in touch with your leaders and team members, and remember that we are all doing the best we can. It never ceases to amaze me what we are able to accomplish together because, as you know, we are One Amazing Team! Hurricane Harvey update no. 6: Saturday, 11:09 a.m.
Hurricane Harvey made landfall last night and as of 10 a.m. Saturday morning, remains a Category 1 Hurricane with the center of the storm near Victoria. We are forecasted to receive between 2-3 inches of rain per hour and 4-6 inches widespread today. While winds will gradually decrease this afternoon, isolated showers with weak tornados are possible. The storm will begin to move southeast today and tomorrow, offshore around Rockport and back onshore around Matagorda Bay on Tuesday. It is forecasted to continue northward Wednesday and Thursday, but West of Houston. The Houston area will remain on the wet side of the storm. All essential staff arrived at the hospital Saturday morning and are taking care of our patients and their families. If additional staff is needed, you will be contacted by your leader. For patients and employees currently at Texas Children’s Hospital or Texas Children’s Pavilion for Women, food services hours have been extended and will be available at the Pavilion for Women Bistro from 11 a.m. to 9 p.m. Saturday and 7 a.m. to 9 p.m. Sunday. Gift shops on the 3rd floor of West Tower and 1st floor of Pavilion for Women will be open until 8 p.m. on Saturday. As we come together as a team to ride out Hurricane Harvey, it’s important to remain focused on the care and safety of each other, our patients and their families. We know social media is a valuable tool you will utilize throughout the storm to update your family and friends. We encourage you to remain conscious of what you are sharing on your social media accounts as there is heightened attention on the amazing work we do every day from the public and media. As a reminder, per the social media policy (4166), taking photos of patients and/or their families is prohibited. For those of you at our hospitals, we would further discourage sharing any photos of your areas or the facilities during the storm. Feel free to follow Texas Children’s social media channels and share these updates. We will continue to communicate additional updates this afternoon. Hurricane Harvey Update No. 5: Friday, 6:27 p.m. Tropical Storm Harvey has been upgraded to a Category 4 hurricane. We will continue to have rain throughout the evening. There are no significant flood concerns, but some high water may occur in vulnerable areas. Please continue to monitor the weather situation in your area. Below are important updates. Due to the projection and severity of the storm, the decision has been made to call full activation for ride out beginning at 7 a.m. Saturday. From that time forward, we will keep enough staff in house to provide 24-hour coverage for our inpatient operations and emergency services. That means the shift arriving at 7 a.m. should come in expecting to stay in house after their shift, potentially for several days. For most areas, it also means that personnel who are ending their shifts at 7 a.m. will need to stay in house and provide relief by going back on duty Saturday evening. As weather permits over the days that follow, we will call for fresh relief teams to come in for 1:1 replacement. If you have any questions about how ride out procedures will work for your areas (or what your individual role assignment is), please contact your leader at your specific campus/work location. Special pay practices will begin for non-exempt employees beginning at 7 a.m. Saturday for employees who have been assigned in a “ride-out” team. Click here for the details of our Emergency Pay Practices. Food services will be available only at the Pavilion for Women Bistro from 11 a.m. to 6 p.m. Saturday and 7 a.m. to 6 p.m. Sunday. Ride-out employees are strongly urged to bring a 3-4 day supply of non-perishable foods. Sleeping accommodations will be available in Wallace Tower and Legacy Tower. Ride-out employees should report to the 3rd floor of Wallace Tower to receive a sleeping room assignment. For West and The Woodlands campuses, please check in with your leaders for sleep accommodations. Additional parking is available at Fannin Tower from the Main St. entrance starting at 6 p.m. and will continue to be available through next week. Employees will need to show their Texas Children’s ID badge to enter the garage. We will continue to monitor water levels and will implement plans to close flood doors and garages as necessary. We strongly urge you to make arrangements for your children and elderly dependents with a responsible adult as there are no onsite dependent care options available at Texas Children’s at this time. All other Texas Children’s Pediatrics practices not listed above are closed. The Centers for Children and Women will be closed on Saturday and Sunday. The Centers will be open Monday unless otherwise announced. Texas Children’s Urgent Care locations will continue normal operations until notified otherwise. We will decide over the weekend if any closures should extend beyond Monday. Finally, please watch the news, and use your best judgement. We rely on you to stay informed and use good judgment in these situations to help keep yourself safe and to help us take the best possible care of our patients and their families. Thank you for your commitment. We will continue to communicate additional updates as the situation warrants throughout the next several days. Tropical Storm Harvey Update No. 4: Friday, 1:46 p.m. Tropical Storm Harvey is continuing to develop. The Greater Houston area will continue to have rain throughout today. There are no significant flood concerns today, but some high water may occur in vulnerable areas. Please continue to monitor the weather situation in your area. Below are important updates. Closures. We are continuing normal operations today, but we are closing all clinics and canceling all outpatient procedures at the three Texas Children’s Hospital campuses on Saturday, Sunday and Monday, including the Texas Medical Center campus, West Campus and The Woodlands. We are also closing Texas Children’s Health Centers, The Centers for Children and Women and the Maternal-Fetal Medicine Clinics for Saturday, Sunday and Monday. We will decide over the weekend if the closures should extend beyond Monday. A note about renal patients: Renal patients are being contacted directly by the clinic. They may also check the Rena D social media pages for updates: Facebook (https://www.facebook.com/rena.dee.35) and Twitter (https://twitter.com/renadeeamb). Ride out labor pool. Leaders are currently determining who will be needed for the labor pool if ride-out is activated. Please contact your leader if you have questions about your role. Shutting down workstations. As you leave the office today in non-clinical areas, ensure your computer and monitor are moved away from the windows of your office and powered down completely. 1:1 Handoffs. 1-to-1 replacement will begin this evening at the hospital campuses. Please plan for additional travel time, identify alternate routes, ensure your personal at-work disaster bag is ready, and have your personal plans in place. Public transportation. If you are planning to travel to work by Metro bus or rail, ensure you have an alternate means of transportation, as service may be limited this weekend. Also, be certain to fill up your gas tank in case fuel is limited in the next few days. Flood doors, garages entrances and parking. Additional parking will be available at Fannin Tower from the Main St. entrance beginning at 6 p.m. this evening through next week. We will continue to monitor water levels and will implement plans to close flood doors and garages as necessary. Child care and elder care. We do understand there are many school closures and we strongly urge you to make arrangements for your children and elderly dependents with a responsible adult as there are no onsite dependent care options available at Texas Children’s at this time. At-work disaster bag. Your at-work disaster bag should be ready to go with at least three days of essential supplies. Click here for a recommended list of what to bring. Emergency communications for employees. Make sure you stay up to date with Texas Children’s Emergency Management communications, which will be sent via texts, phone calls and emails through the Texas Children’s Notification System. Update your personal information in MOLI. Instructions here. All emergency Weather Alert emails also will be posted on our external news site, accessible from any device: www.texaschildrensnews.org. More information, including the latest weather, traffic, and road conditions, is available on the Emergency Management Connect site and through the National Weather Service website. 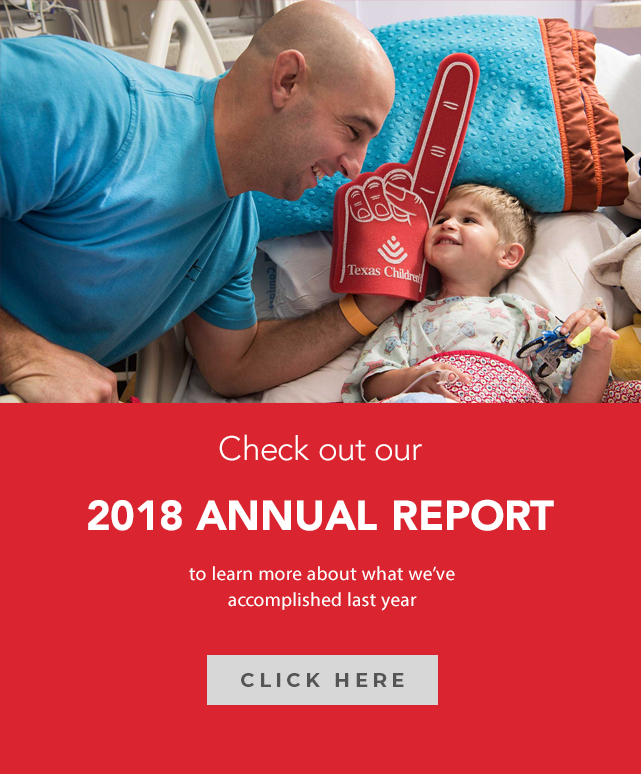 Texas Children’s updates for the community. You also can follow real-time updates from Texas Children’s. Click here for a list of our social media channels and websites. Finally, please watch the news, and use your good judgement. We rely on you staying informed and using good judgment in these situations to help keep yourself safe and help us take the best possible care of our patients and their families. Thank you for your commitment. Tropical Storm Harvey Update No. 3: Prepare now, Thursday, 8:15 p.m.
Harvey is rapidly intensifying into the third hurricane of the season and may possibly become a Category 3 when it reaches landfall along Texas’ coast. As a result, the Greater Houston area is expected to receive very heavy rainfall, storm-surge flooding and high winds beginning on Saturday and into early next week. We are continuing normal operations, but we are following the weather closely and will make decisions about outpatient care and elective activities over the weekend. However, it is very important that we as an organization make preparations now for our families and for our patients and their families. Please make every effort to secure your loved ones and help us ensure the safety of the patients and families depending on our care and leadership. 1:1 Handoffs. 1-to-1 replacement will begin Friday evening. Please plan for additional travel time, identify alternate routes, ensure your personal at-work disaster bag is ready, and have your personal plans in place. Flood doors, garages entrances and parking. At this point, there has been no decision to close the flood doors or the garage entrances. We will continue to monitor the weather and make decisions regarding the garages as appropriate. Child care and elder care. We do understand there are many school closures during severe weather events. However, we strongly urge you to make arrangements for your children with a responsible adult rather than bringing them to work. This is very important to ensure the safest care for both our patients and for your children, as we will have limited staff and volunteers on hand. All emergency Weather Alert emails also will be posted on our external news site, accessible from any device: http://texaschildrensnews.org/. It’s important that we all remain calm, positive and mindful of our obligation to be here to provide uninterrupted care for our patients and their families. By the same token, we also want you to be safe. We rely on your judgment in these situations to balance the need for your presence here with our desire to ensure you are not putting yourself in harm’s way. Thank you for your commitment to caring for our patients and their families. We will continue to communicate additional updates as the situation warrants. Tropical Storm Harvey Update No. 2: Thursday, 10:30 a.m.
Texas Children’s leadership and the Department of Emergency Management are continuing to closely monitor Tropical Storm Harvey, which is expected to make landfall as a hurricane late Friday. Tropical storm warnings are in effect from north of Matagorda to High Island, including Houston and Galveston. A hurricane warning has been issued for a portion of the Texas coast, from north of Port Mansfield to Matagorda, including the city of Corpus Christi. At this point, the Greater Houston area is expecting a potential threat of heavy rainfall, increased winds and severe storms beginning Friday morning through possibly Tuesday morning, depending on how the storm tracks after landfall. Texas Children’s Emergency Management team is urging employees to pay attention to local media reports concerning weather conditions, as the Houston area may receive significant rainfall with subsequent flooding in the next few days. Staff members should be prepared for 1-to-1 replacement if travel conditions are unsafe in and around our Texas Children’s locations throughout Greater Houston. Please plan for additional travel time, identify alternate routes, ensure your personal emergency preparedness bags are ready, and have your personal plans in place. In addition, make sure you stay up to date with Texas Children’s Emergency Management communications. These will be sent via texts, phone calls and emails through the Texas Children’s Notification System. Please make sure your personal information is updated in MOLI with your current mobile phone number so that you receive all messages in a timely manner. Here are the instructions for updating your information in MOLI. Inclement weather expected this weekend: Wednesday, 3:38 p.m.
Texas Children’s leadership and the Department of Emergency Management are closely monitoring Tropical Depression Harvey. A hurricane watch has been issued for a portion of the Texas coast, from north of Port Mansfield to San Luis Pass, including Corpus Christi and Victoria. At this point, the Greater Houston area is expecting a potential threat of heavy rainfall and severe storms beginning Friday morning through mid-day Monday. Thank you for your commitment to caring for our patients and their families. We will communicate additional updates as the situation warrants. Wednesday, June 21, 2017: 4:13 p.m.
Texas Children’s leadership and the Department of Emergency Management are closely monitoring Tropical Storm Cindy in the Gulf of Mexico. The Greater Houston area is expecting a potential threat of gusty winds, but rainfall amounts will likely not exceed 1 inch to 2 inches. At this time, we are continuing operations as normal throughout the Texas Children’s system in the Houston area. Leaders will continue to assess operations and staffing needs over the next 24 hours and will make adjustments accordingly. As always during inclement weather, people need to be prepared to stay late or arrive early depending on weather conditions. We urge employees to exercise caution when navigating roadways and avoid flooded areas as you head home or make your way into work and when returning home. Please plan for additional travel time and be prepared to identify alternate routes in case roadways are flooded. Also, be sure to communicate with your leaders should your arrival to work be delayed due to the inclement weather conditions. Tuesday, June 20, 2017: 4:34 p.m.
Texas Children’s leadership and the Department of Emergency Management are closely monitoring Tropical Storm Cindy in the Gulf of Mexico. The Greater Houston area is expecting a potential threat of gusty winds and heavy rainfall between 3 a.m. and 3 p.m. Thursday. If the storm continues to track east, the Houston area is expected to receive between 2 and 4 inches of rain on Thursday. If the storm moves west, the area could see between 3 and 5 inches of precipitation. At this time, we are continuing operations as normal throughout the Texas Children’s system in the Houston area. Leaders will continue to assess operations and staffing needs over the next 24 to 48 hours and will make adjustments accordingly. Sunday, February 19, 2017: 6:26 p.m. The Houston area experienced a severe, fast developing weather event overnight and very early this morning. Heavy rainfall caused flooding in isolated areas. The rain is expected to continue the remainder of today, with heavy rainfall possible in isolated areas. Rain will shift to the southeast tomorrow. Texas Children’s Hospital, Texas Children’s Pavilion for Women, Texas Children’s Hospital The Woodlands and Texas Children’s Hospital West Campus are open and operational. However, all outpatient clinics at the medical center campus and some Texas Pediatrics locations opened late due to poor road conditions. Affected outpatient clinic patients who would like to reschedule can call our central scheduling line at ext. 4-1000. Texas Children’s Pediatrics patients who were affected and who would like to reschedule can call their pediatrician’s office directly. Wednesday, January 18, 2017: 9 a.m. The rain is expected to continue the remainder of today with heavy rainfall possible in isolated areas. Rain will shift to the southeast tomorrow. Texas Children’s Hospital is open and operational. However, all outpatient clinics at the medical center campus will operate on a two-hour delay and will open at 10 a.m. Patients who would like to reschedule can call our central scheduling line after noon today at 832-824-1000. Texas Children’s Hospital The Woodlands outpatient services and Texas Children’s Hospital West Campus are open and operational. Texas Children’s Pavilion for Women is open and operational. Due to severe weather, several Texas Children’s Pediatrics locations are operating on a delay today. Texas Children’s leadership and the Department of Emergency Management are closely monitoring the weather as the Greater Houston area is expecting a potential threat of heavy rainfall this morning between 9 a.m. and noon with further rainfall possible through mid-afternoon. Rain is forecasted to begin around 9 a.m. in northwestern Harris County and reach the Medical Center by 11 a.m. Since this line of storms is expected to remain rather progressive, the threat for heavy rainfall is expected to be much more localized than what was observed early Monday. Widespread rainfall amounts of around ½ inch to 1 inch can be expected with some localized amounts of 2-3 inches possible. Given the significant soil saturation, even moderate rainfall may cause additional street flooding. We urge employees to exercise caution when navigating roadways and avoid flooded areas as you head home or make your way into work. Please plan for additional travel time, and be prepared to identify alternate routes in case roadways are flooded. Also, be sure to communicate with your leaders should your arrival to work be delayed due to weather conditions. Severe weather update no. 8: Official CARLA DEACTIVATION at 7 p.m.
Texas Children’s Hospital is formally discontinuing the CARLA activation at this time. Inpatient leadership will continue to ensure 1:1 staffing handoffs during shift changes. Nursing operations sub-command center will remain open through 7 p.m. this evening. Emergency pay practices will continue until 11 p.m. this evening. The PFW 4th floor sleeping area will be staffed for those who would like to register until 8 p.m. Security will monitor the area for those sleeping throughout the night, and the area will close at 7 a.m.
We anticipate the weather will continue to improve later this evening. However, the Department of Emergency Management will continue to monitor the situation closely tonight and throughout the week. Texas Children’s Hospital has partnered with Bright Horizons® to enhance our Back-Up Care Advantage Program® with Crisis Care Assist.™ Available immediately, this program extends care options for employees whose dependent care arrangements may be impacted by the flooding in the Houston area. Click here for more details. If you need to contact the Administrator on call, please do so through the page operator. The incident command center will officially close at 7 p.m. this evening. Please continue to be safe in this weather, and reach out to your leaders if you have additional questions. Thank you all for your flexibility and resilience during this unexpected emergency weather event. Severe weather is moving out of the Houston area. However, 1 to 3 inches of rain are expected over the next 48 hours with heavier rainfall possible in isolated areas. We anticipate the weather will continue to improve significantly by later this evening, and we will continue to monitor closely and keep you well informed when we officially discontinue the CARLA. Texas Medical Center shuttle services are back up and running, and Garages 11, 12 and 16 in the TMC are expected to reopen at 4 p.m. today. However, Metro will not resume normal service until 4 a.m. Tuesday. Sleeping arrangements are provided on the 4th floor of the Pavilion for Women. Should you require accommodations, please call Ext. 4-0150. The Coffee Corner in the Pavilion for Women will offer normal hours and serve food until 12 a.m. The CCC food court will offer extended hours of operation until 8 p.m. tonight. Thanks to all of you for your great leadership. We appreciate your efforts to be here to care for our patients and their families. Pulling together at these times is critical to those entrusted in our care. Normal shuttle service is running from Garage 19 and Meyer. Service from Nabisco/NRI is also running. Please continue to be safe in this weather, and reach out to your leaders if you have additional questions. Thank you all for your support. We appreciate your efforts to be here to care for our patients and their families. It’s important to us, as your leaders, to provide you with programs and services to help you during difficult times as well. Below, we’ve outlined how we will handle pay practices and time off. In addition, we’ve provided information about acquiring financial assistance. To learn more about EAP services, please visit the EAP websiteor contact the EAP at 832-824-3327 or eap@texaschildrens.org. Shuttle services are back in operation. Normal shuttle service has resumed from Garage 19 and Meyer. Service from Nabisco/NRI is also running. We will continue to monitor the weather and bayous/bridges and report any changes. Texas Children’s Leadership is announcing a CARLA activation. As such, all employees must be ready and available to arrive onsite when it is safe to do so. Your specific requirements should be discussed with your immediate supervisor. Further information regarding Emergency Pay Practices will be forthcoming, along with other Human Resource information at approximately 12 p.m. today. Food options are available on site in the Medical Center and West Campus at this time. Shuttle services at the Meyer Building are now suspended until further notice. Security SUV’s are being sent to the Meyer shuttle stop to pick up employees heading to the Texas Medical Center. Parking is open at the Pavilion garage only. We will keep you posted on other further developments throughout the day. All Texas Children’s Pediatric clinics, subspecialty clinics and diagnostic/therapeutic services at Main, West and the Health Centers along with the Texas Children’s Health Plan Centers and TCP Practices are closed. Public transportation – Metro operations have been suspended until further notice. Parking garages – All parking garages in the Texas Medical Center are closed, BUT the parking garages at Meyer are open. Shuttle services are running but may be delayed. Inpatient staff are conducting 1 to 1 hand offs to ensure safe staffing levels. All administrative support staff should consult with their leaders regarding their need to report to work. We urge employees to exercise caution when navigating roadways and avoid flooded areas as you head home or make your way into work. Please plan for additional travel time, and be prepared to identify alternate routes in case roadways are flooded. Also, be sure to communicate with your leaders should your arrival to work be delayed due to the inclement weather conditions. Texas Children’s leadership and the Department of Emergency Management are closely monitoring the weather, as the Greater Houston area is expecting heavy rainfall and severe storms. We anticipate rainfall will intensify throughout the Houston area between 7 a.m. and 9 a.m. Monday. Widespread rainfall of 4-6 inches is expected, with isolated areas receiving up to 10 inches of rain. Rain is expected to continue through Tuesday morning. Texas Children’s leadership and the Department of Emergency Management are closely monitoring the weather, as the Greater Houston area is experiencing heavy rainfall and severe storms. Additional, widespread rainfall of 4-6 inches is expected throughout the day, with isolated areas receiving up to 10 inches of rain. Cumulative rain totals are exceeding 12” in many areas, causing widespread flooding. Texas Children’s leadership announced a CARLA activation at 10 a.m. today. As such, all employees must be ready and available to arrive onsite when it is safe to do so. Your specific requirements should be discussed with your immediate supervisor. Inpatient staff are conducting 1-to-1 hand-offs to ensure safe staffing levels. Food options are available on-site in the Medical Center and West Campus at this time. Tropical Storm Bill has been downgraded to Tropical Depression Bill. As the storm moves northward through Central Texas, additional periodic bands of rain will impact the Houston area throughout the day. Some localized street flooding will be possible with an additional 2 to 3 inches of rain expected. We urge employees to continue to exercise caution when navigating roadways, and do not drive into flooded areas as you head home or make your way into work today. If you plan to commute by Metro, all services are operating normally. This is the last communications update regarding Tropical Depression Bill. More information, including the latest weather, traffic and road conditions are available on the Emergency Management Connect site and the National Weather Service website. Click here for previous reminders and Global Alerts related to Tropical Storm Bill. Tuesday, June 16, 3:51 p.m.
Texas Children’s leadership and the Department of Emergency Management are closely monitoring Tropical Storm Bill, which made landfall this morning. The Houston area is still expected to experience up to 8 inches of rainfall. There may be pockets of roadways that will be problematic during the course of the afternoon. With the potential for more heavy rain expected this evening, we urge employees to exercise caution as they drive home or make their way into work. Any faculty, staff or trainees who need to leave early due to potential hazardous conditions at or near their home should contact their leader. Your personal safety is our priority and we ask you to take appropriate precautions when driving in areas with high water on the roadways. We are taking all appropriate precautions according to our response plan, and we ask staff and employees to do the same. Inpatient and Outpatient Operations. At this time, we are continuing operations as normal throughout the Texas Children’s system. Leaders will continue to assess staffing needs over the next 24 to 48 hours and will make adjustments accordingly. Please direct Main Campus inpatient calls to the NAC at Ext. 6-4282. Please direct West Campus inpatient calls to the House Supervisor at Ext. 7-4700. Please direct Pavilion for Women inpatient calls to Ext. 2-8133. Some clinics and outpatient areas may delay patient arrivals or have cancellations. Please be patient with and accommodating of these adjustments. Texas Medical Center parking accommodations. TMC has reprogrammed their parking system to allow 24-hour access to Texas Children’s night shift employee parking cards effective today at 5 p.m. through Wednesday. Public transportation. Currently, Metro is operating normally. If you are planning to travel by Metro bus or rail, you should not expect any issues with parking.